Discount bus operator Megabus said it will expand its Washington service from three cities to 13. The cities Megabus will now serve from Washington are: Baltimore; Boston; Buffalo, N.Y.; Charlotte, N.C.; Hampton, Va.; Harrisburg, Pa.; Knoxville, Tenn.; New York; Philadelphia; Pittsburgh; the Raleigh-Durham area in N.C.; Richmond, Va. and Toronto. Fares start at $1, but prices increase as the travel date gets closer. 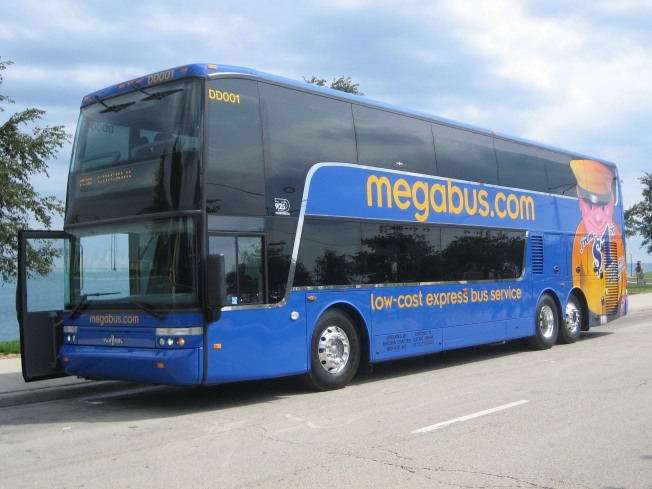 Megabus said fares also vary by trip and demand for seats. The company's buses are equipped with free Wi-Fi, power outlets, restrooms and seat belts. Expanded service will start Dec. 15. The low-cost, express bus service already serves more than 40 cities in North America.